Place cut-side of eggplant on board. Cut each half into 5mm-thick slices. Heat a greased barbecue plate or chargrill over medium heat. Combine eggplant, corn, zucchini, capsicum, oil and oregano in a bowl. Season with salt and pepper. 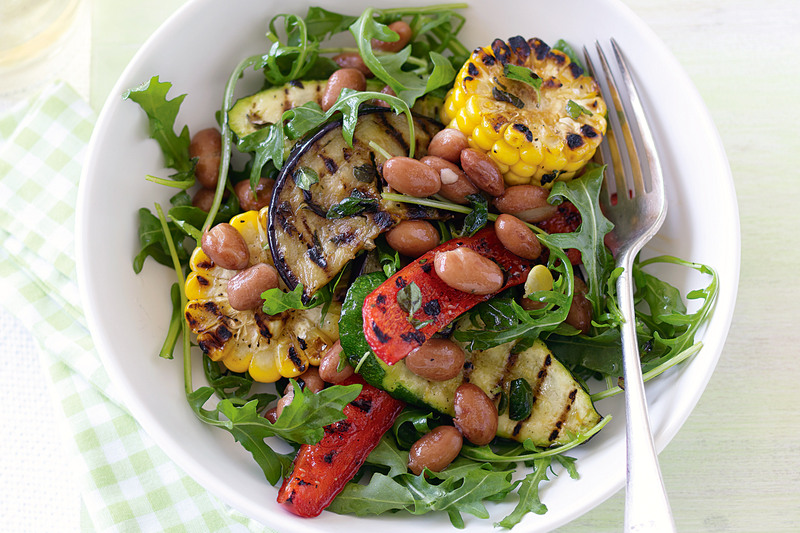 Chargrill vegetables, in batches, for 2 to 3 minutes each side or until tender. Transfer to a bowl. Add beans, rocket and vinegar. Toss to combine. Serve.